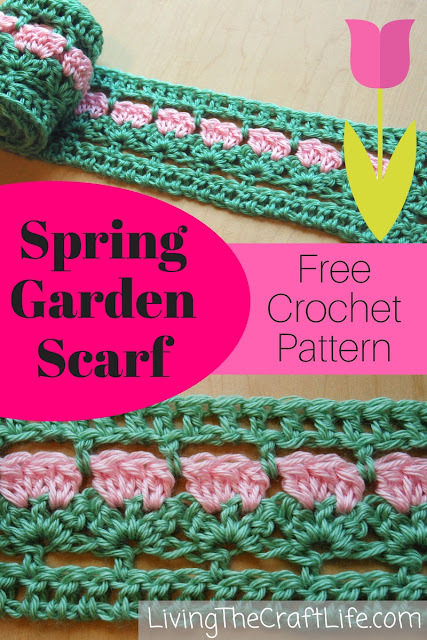 This is a very fun pattern you can do to celebrate spring! I know the Handmade Especially for You charity would love these scarves because they are certainly going to brighten up the day of whoever the recipient will be! If you enjoyed this pattern, please consider making an extra one to donate to the charity (HandmadeEspecially.org) or purchase my PDF pattern document so I can make one on your behalf. Initial chain should measure around 65 inches. If needed, add or subtract multiples of 3 to pattern to change size. 2-DC cluster: *Yarn over, insert hook into stitch, yarn over, draw yarn through stitch, yarn over, draw yarn through first two loops on hook, repeat from *, finishing off by drawing yarn through remaining 3 loops. Row 6: Ch 3(counts as dc), 1dc in each st across. Thank you. I just started crocheting my first scarf for Handmade Especially For You charity and then saw your pattern on their website. This is gorgeous and will be the second one I make. Can't wait!